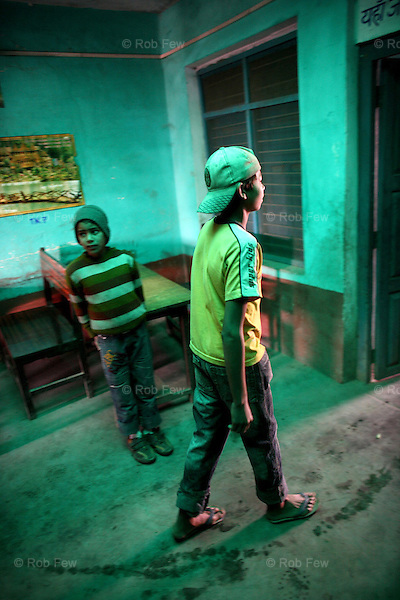 Many of the child labourers in Nepal accept their lives without thinking. It's hard to imagine going to school, having time to play or being treated as a human when this is all your family has known for a hundred generations. Musuriya, who works in a roadside tea shop, says he likes his job. He likes it because it means he can buy a new t-shirt. While other children dream of becoming teachers, or musicians or doctors, Musuriya dreams of a change of clothes. He has been wearing these ones for weeks.